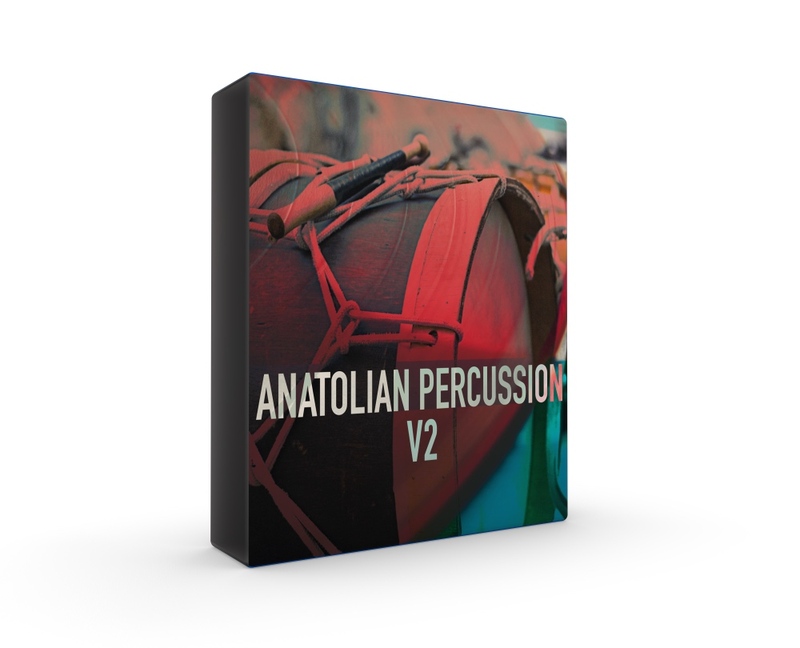 Anatolian Percussion V2 delivers on 5 core percussions of Anatolian music and culture at the center of Middle East. 550MB+ for Kontakt & WAV. 5 Kontakt Instruments (full version 5.7.3). Bendir is a special rhythm instrument which various forms have been used in sacred & tribal ceremonies for long years. Today you may hear it almost in every ethnomusical context. The instrument can be made of natural leather or stretched plastic. The diameter is generally 52 cm which adds a powerful low end to the sound it produces. Kudum is widely used in Mevlevi rituals and sacred drumming sessions along with Ney. The instrument has a copper body with a half spherical shape to it. The surface of the instrument is generally leather but plastic material might be used as well. Two 15 cm diameter instruments are played together like a bongo. The Darbouka (goblet drum) is first seen in Babylonia and Sumeria. It has a goblet shaped body and a membrane surface. The instrument name comes from the darba word which means strike in Arabic.